Cramer & Anderson Partner Dan Casagrande, representing a group of clients, is appealing Connecticut Siting Council approval of a Candlewood Solar, LLC petition for a declaratory ruling that no Certificate of Environmental Compatibility and Public Need is required for the construction, operation and maintenance of a 20 megavolt solar photovoltaic facility in New Milford, Conn. The appeal was filed Feb. 1 in New Britain Superior Court on behalf of the organization Rescue Candlewood Mountain, Lisa K. Ostrove, Michael H. Ostrove, and Candlelight Farms Aviation, LLC. 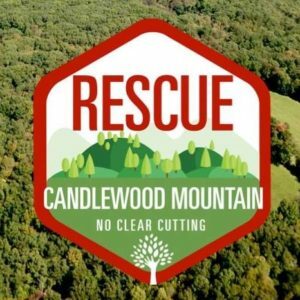 “We believe the Siting Council committed a reversible error and Rescue Candlewood Mountain intends to vigorously pursue the appeal,” Attorney Casagrande said. The Project site of 163 acres on Candlewood Mountain is part of a larger contiguous forest of 788 acres, including approximately 450 acres of important, habitat rich core forest. The Project would require the clear-cutting of nearly 70 acres of forestland, including a section of core forest. The Project would primarily benefit Massachusetts ratepayers and electric utility companies based in Massachusetts and Rhode Island, not Connecticut ratepayers or utilities. Connecticut’s Department of Energy and Environmental Protection (DEEP) did not vote to select the Project as part of the tri-state selection process. DEEP opposes the Project and endeavored to prevent the Siting Council from issuing the declaratory ruling. The state Department of Agriculture supported DEEP’s motion to dismiss Candlewood Solar’s petition for a declaratory ruling. On September 28, 2017, the Siting Council denied the Motion to Dismiss on the ground that P.A. 17-218 became effective on July 1, 2017, and therefore did not apply to this proceeding because the Petition had been filed on June 28, 2017. The Siting Council rejected DEEP’s and DOA’s arguments that P.A. 17-218 was intended to apply to Council proceedings pending on the effective date, and was enacted to require full environmental review of projects that, as this Project does, will have an adverse impact on core forests and agricultural lands in the State. The Town of New Milford also urged the Siting Council to deny the petition for a declaratory ruling. Timothy Abbott, Regional Land Protection and Greenprint Director for the Housatonic Valley Association, said clear-cutting of 68 acres of forest will devastate the 458-acre area of core forest, and the upland clear-cut and industrial development of this size and scale has the potential to negatively impact water quality in the Town of New Milford and the region. The Project creates the potential for significant negative impacts to wetlands and watercourses, and to the species (and their habitats) that use the wetlands and watercourses for habitat. Candlewood Solar proposes to encumber 20 acres of active farmland as well as several acres of locally important farmland soils, in conflict with the objectives of the state agriculture department and the New Milford Farmland and Forest Preservation Committee. Alternate sites, including the Century Brass Brownfield site in New Milford, were not adequately considered by Candlewood Solar. Candlewood Solar understated and misanalysed the Project’s visual impact on the viewshed of Candlewood Lake and Lynn Deming Park, two of the region’s most important recreational resources. The appeal seeks a court judgment reversing the Siting Council’s decision and an order directing the Council to deny the petition for a declaratory ruing. Attorney Casagrande noted that the appeal does not automatically prevent Candlewood Solar from starting work on the project, and said if clear-cutting commences, the plaintiffs have the ability under statute to move for a stay by showing Rescue Candlewood Mountain would be irreparably harmed by the action. Attorney Casagrande’s primary Practice Areas include Land Use & Environmental Law, Municipal Law, and Planning & Zoning Land Use issues. 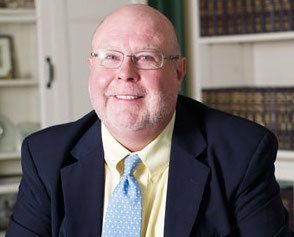 He has served as an outside Assistant Corporation Counsel for the City of Danbury from 1990 through the present, and has achieved successful outcomes in several complex high profile cases. In 1998, Attorney Casagrande defended the City of Danbury in an appeal by Union Carbide Corporation of the valuation for assessment purposes of its corporate world headquarters. The trial court upheld the city’s $307 million valuation after a 24-day trial, and he successfully argued the appeal of the decision before the Connecticut Supreme Court. In 2007, he defended the Town of Waterford in its defense of an appeal by Dominium Nuclear Connecticut, Inc. of the Millstone nuclear power plant, believed to be the largest assessment appeal ever litigated in Connecticut. The trial court, in several decisions, upheld over 92 percent of the town’s valuation. 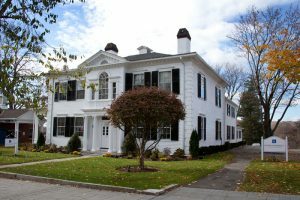 Attorney Casagrande works primarily in the firm’s Danbury office. He may be reached by phone at (203) 744-1234, and by email at dcasagrande@crameranderson.com. In addition to the Danbury office, Cramer & Anderson has offices in New Milford, Litchfield, Kent, Washington Depot, and a new office in Ridgefield, serving Fairfield County. For more information, see the website at crameranderson.com or call the New Milford office at (860) 355-2631.